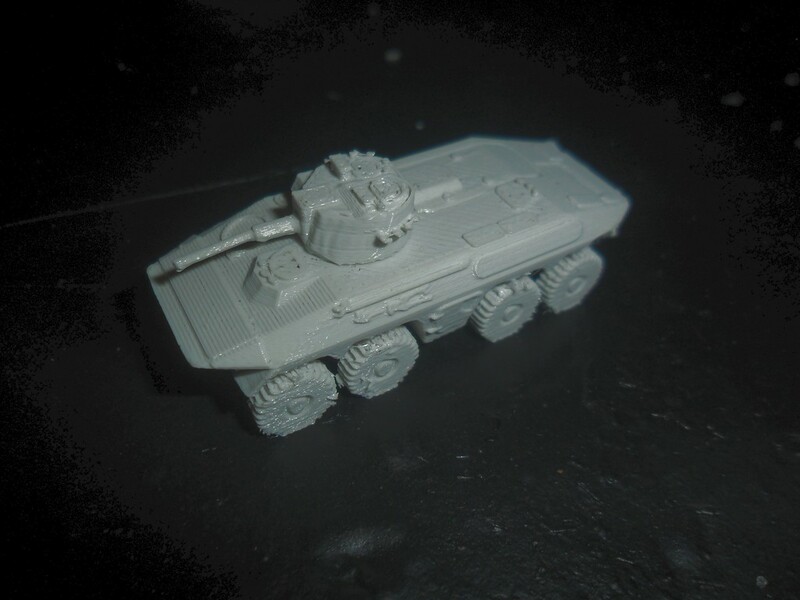 For the last release this year, we have the Spähpanzer Luchs in 144th, modelled, this time by UshCha! This is the prototype for the locking turret, and as such, both Shapeways and Replicator 2 versions have this feature – as will all subsequent new models I create and release. I will not, for the moment, be updating the old vehicle's Shapeways versions to V2 locking turrets. Doing so is a relatively simple and quick job, but it's another one in a long list of jobs doing the conversion. If, as usual, anyone really wants the V2 model from Shapeways, just contact me through the usual channels and I'll do it on request. Otherwise, that is going to be a job left until I've got the catalogue up to spec and the revisions all done. Photo of Replicator 2 direct print version. As I start to go back through the catalogue (I have to re-print EVERYTHING at least once to log the time anyway!) and upgrade the direct (Replicator 2) versions to the new locking turret, I am trying to take new photos of everything as well, since the quality is now so much better. 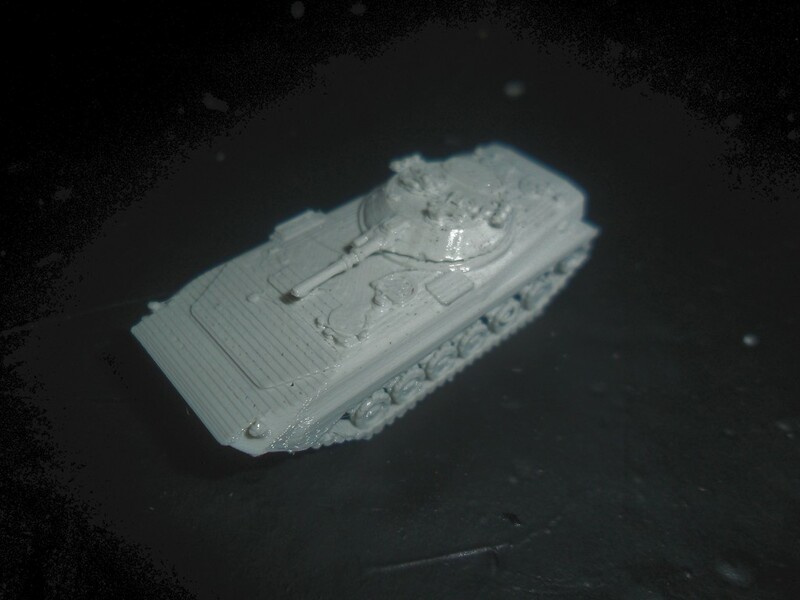 Here's an example – today's somewhat tedious and involved job is to do all the BMP-1/2 models (and their swimming versions). 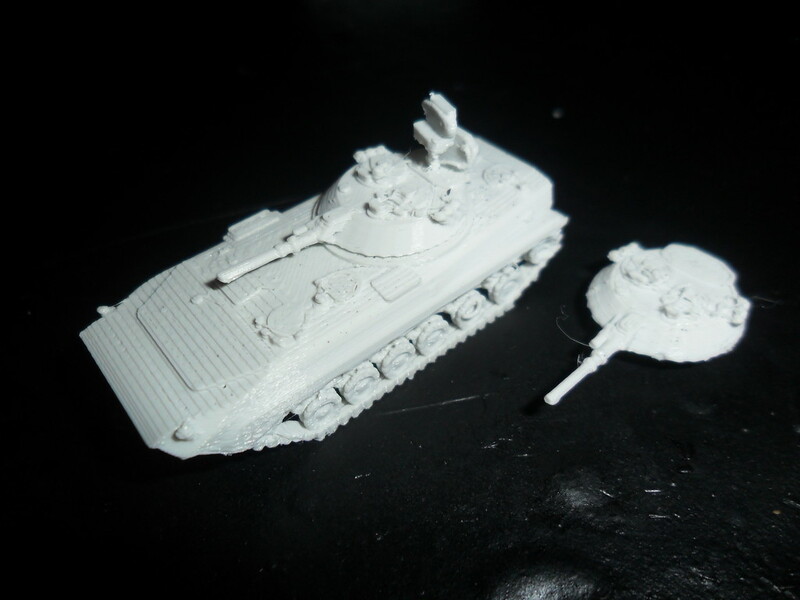 You can see the improvements in production quality here on the BMP-1 and the BRM-1K. Note that on the Luchs and bottom images, I've had to enhance the contrast using PaintShop Pro 8's autocontrast so you can see the details better. (Which has the side-effect of making the lines look more visible than they really are). 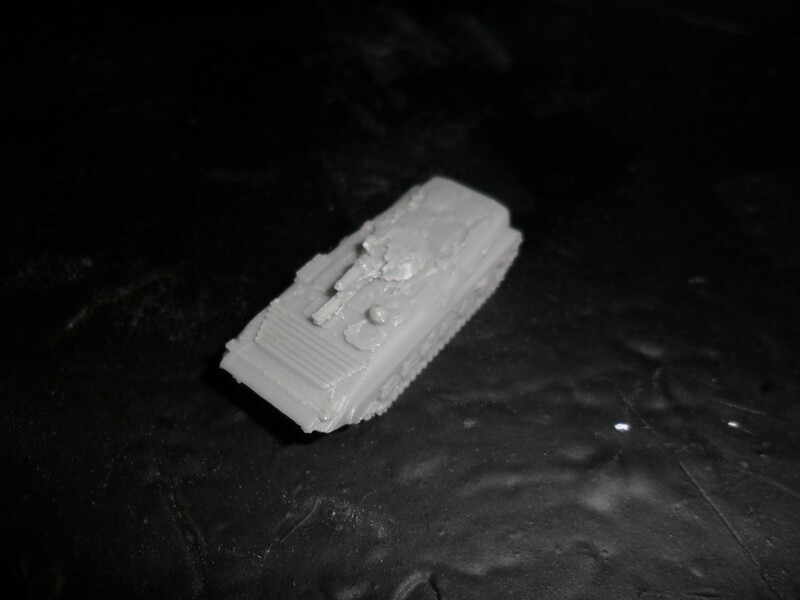 The "grey" plastic we're currently using is nearly white and like WSF, it doesn't like being photographed much! We've got some more brown for when this runs out, which seemed to work better – we can't get the mid-grey like we used to – and we're going that have an experiment with blue, to see if that's any improvement. But as a comaprison, here's the BRM-1K with both turrets, both before and after I fiddlied with it. There will, however, be another Galactic Terrorists release next week and this month's sci-fi release, all being well! T%he new locking turrets are great no more lost turrets AND if you ask nicely you can buy replacement turrets when you get an idiot that breaks one. Its nigh on impossible to break (the turrets my LUCHS have seen extensive use over the past few months as I got them early and no damage) with sensible use but at conventions sence is a VERY rare thing. Still interested in the little Spz Kurz recon vehicles, with the 20mm cannons. 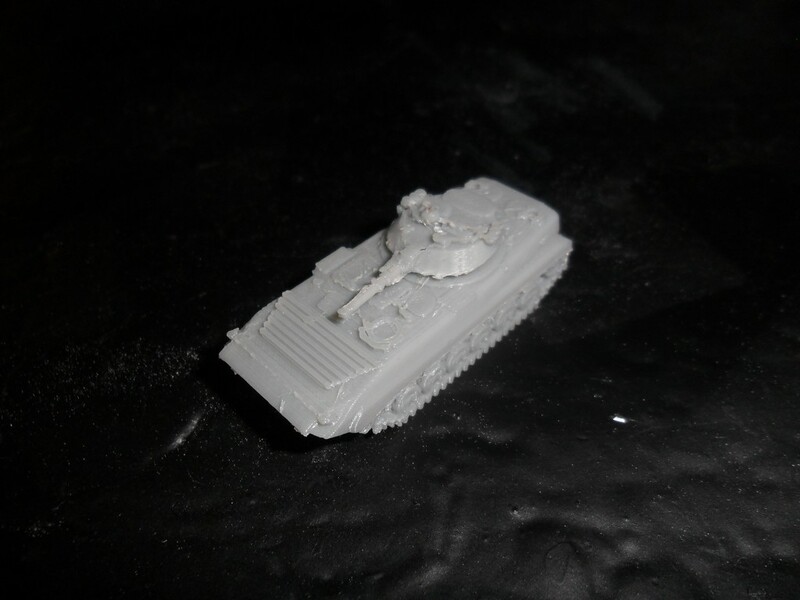 Could also use 6 x Spz Kurz with 81mm mortars too, if you ever get the time and inclination to produce them. Apparently, the recon vehicles served in the Bundeswehr up through the 1970s, in some units. The Kruz was/is on my list of possibilties – I clearly noted it down last time. Unfortunately, there just aren't any technical drawings or blueprints I can find online (just had another look), which makes it a non-starter (it is next to impossible to work from nothing but photographs, since without a drawing you can't even start to egt it the right size), I'm afraid, unless someone can provide any or any turn up at some point. Glad to see it is on your list. Here are some of the dimensions. I can probably provide more images tomorrow, or Thursday. Got to be at work at 5:00 AM tomorrow, so off to bed early, soon. The link also provides info on some of the variants. 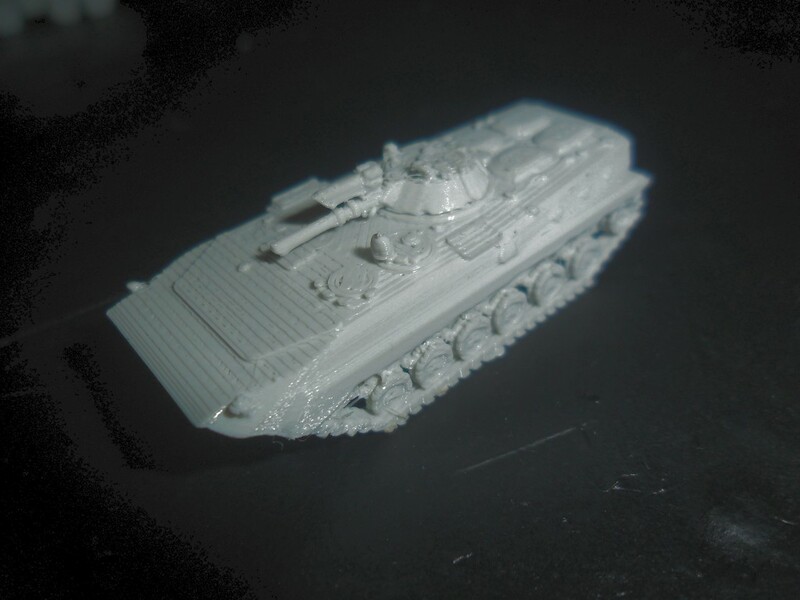 I've also got a Roskopf mini, in 1/100th scale, if that helps any. I'm especially interested in the 20mm recon variant, but would also like the 81mm (80mm, since it is German?) mortar carrier, the AN/TPS-33 radar vehicle, and the Beob model too. Here's a nice side profile link, to help figure out angles and sizes. I usually print stuff out, and photocopy, and then shrink/enlarge to scale to get various dimensions for some models I've built in the past. Knowing one dimension, as I'm sure you know, helps you determine the others close enough for most models, in many cases (though exact ones are preferable, if available). Maybe someone with a copy of Jane's Armour might be able to help here.